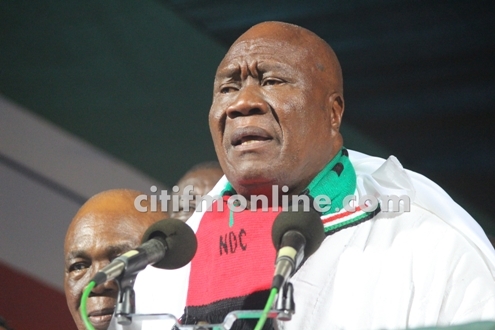 National Chairman of the opposition National Democratic Congress (NDC), Kofi Portuphy, has said his party will not be intimidated by the invitation of its Deputy General Secretary, Koku Anyidoho, to the Criminal Investigations Department (CID) over some comments the latter made which have been described as treasonable. Mr. Portuphy, who described the development as an attempt by the government to scare them, said the party would remain defiant despite the arrest of one of their top officials. “They arresting the Deputy General Secretary of our party is not right, but they cannot scare anybody. We will go and listen to them, they said they want him. He works for us, don’t worry we will go,” he said in a Citi News interview on Tuesday. He was subsequently picked up by the CID at the International Press Centre in Accra on Tuesday during a press conference by a group of opposition political parties known as the Inter-Party Coalition for National Sovereignty, who are kicking against the Ghana-US Defence Cooperation agreement ratified by Parliament last Friday. Several stalwarts of the NDC stormed the premises of the CID over his detention. They included former National Security Coordinator, Kofi Totobi Kwakye, former Deputy Minister of Communications, Felix Ofosu-Kwakye and former Deputy Minister for Employment and Labour Relations, Baba Jamal, among others. The governing New Patriotic Party [NPP], also described as reckless and amateurish Koku Anyidoho’s comment. “The NPP as a party unreservedly condemns this reckless, amateurish, and misguided statement from Mr. Anyidoho, especially judging from his background as a former presidential spokesperson for former President John Evans Atta Mills, who was hailed by all as a peace-loving personality,” a statement signed by National Youth Organizer of the NPP, Sammy Awuku said.